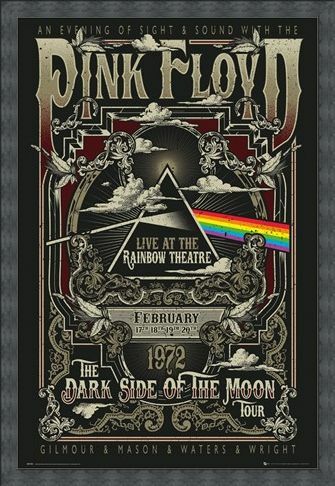 The year is 1972, Pink Floyd have arrived in town to play four unforgettable shows at the Rainbow Theatre in London for the 'Dark Side Of The Moon' tour. 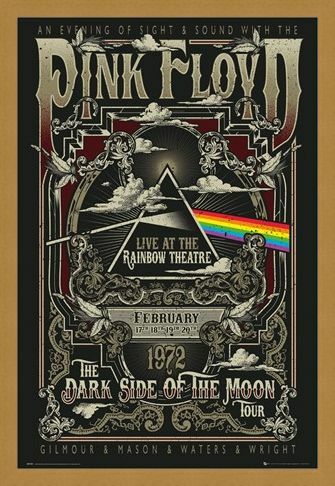 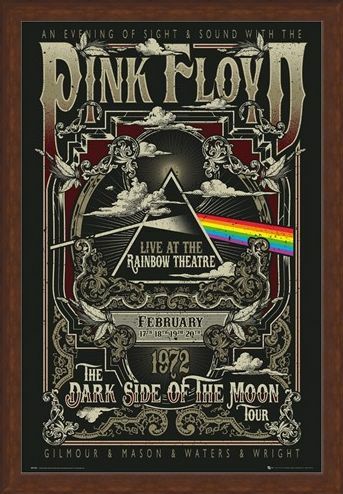 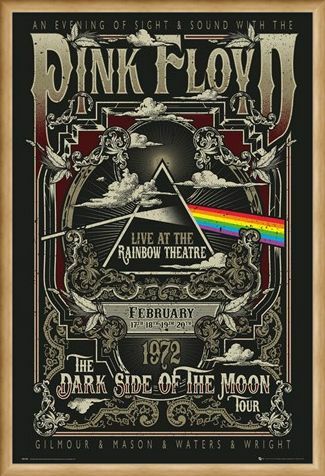 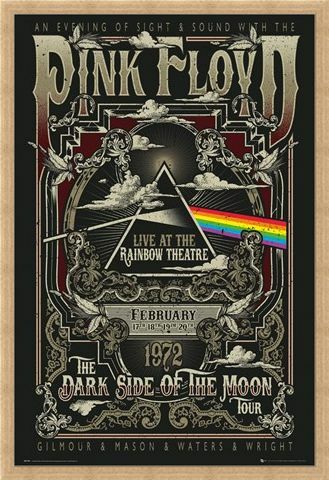 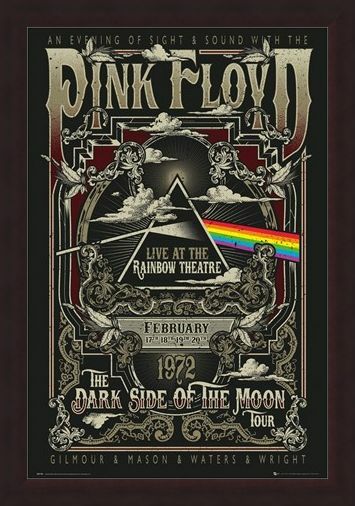 The sixteen song sets played at each show contained all ten songs from the 'Dark Side of the Moon' album along with crowd favourite songs 'A Saucerful of Secrets' and 'Echoes'. 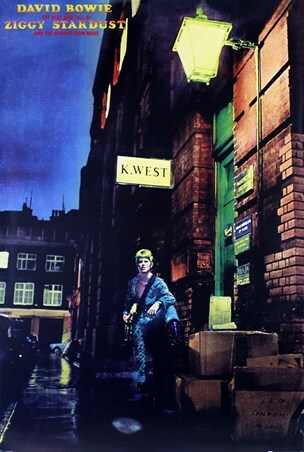 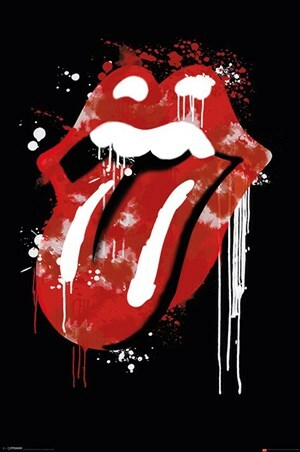 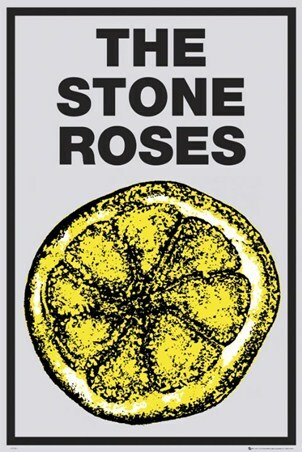 This amazing poster commemorates the legendary homecoming of the UK's biggest and greatest rock exports. 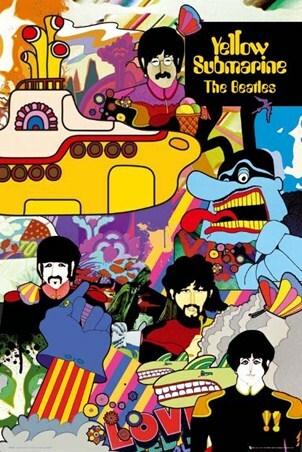 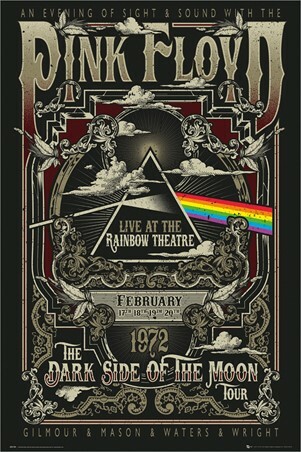 A must have poster for all fans of the amazing progressive and psychedelic rockers. 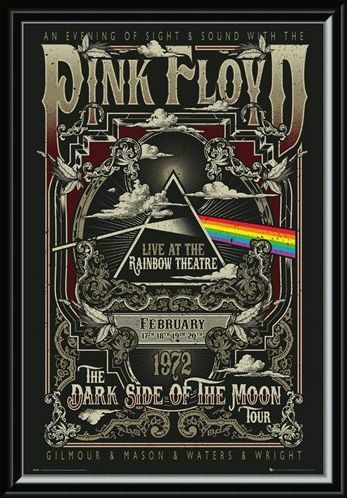 High quality, framed Rainbow Theatre, Pink Floyd poster with a bespoke frame by our custom framing service.